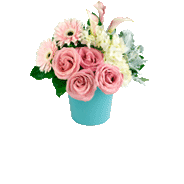 Let them know they’ll always hold the key to your dreams with this dazzling pastel premium rose floral arrangement. 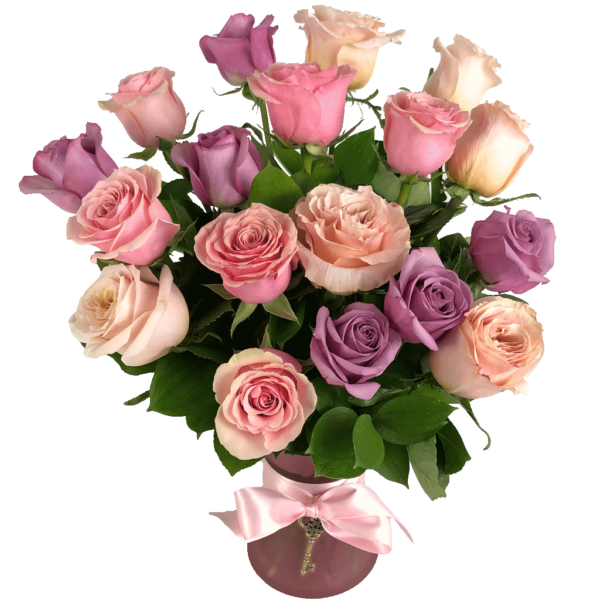 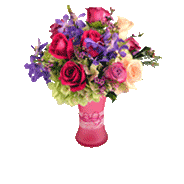 A beautiful mix of premium pink, peach and lavender roses hand-arranged inside a pink vase to enhance the beauty of each bloom. 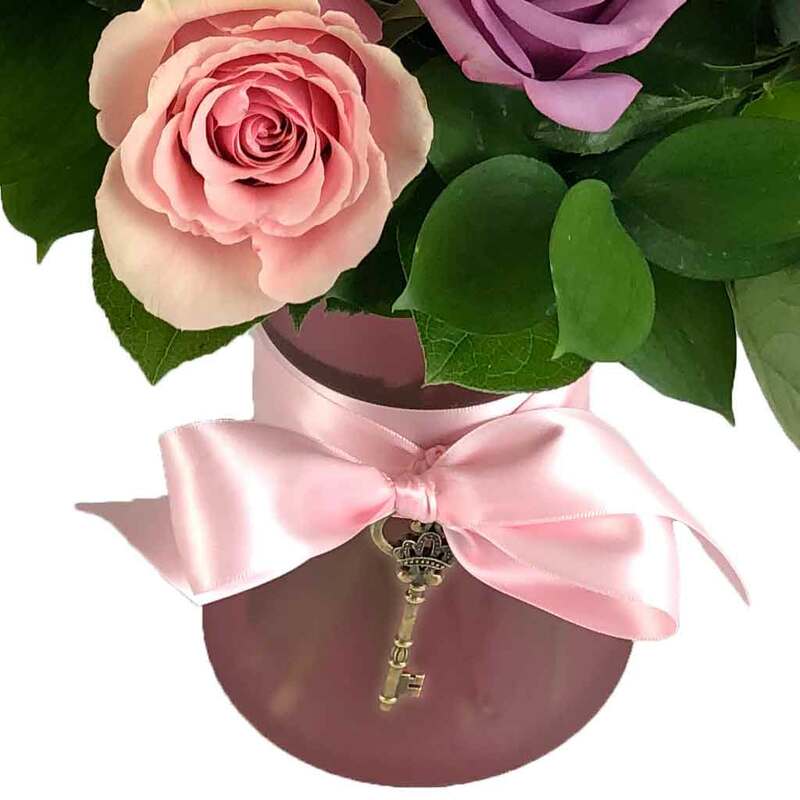 In addition, a special gift inspired by The Nutcracker and the Four Realms, a golden keepsake key is tied around the vase with pink ribbon. 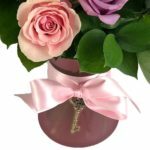 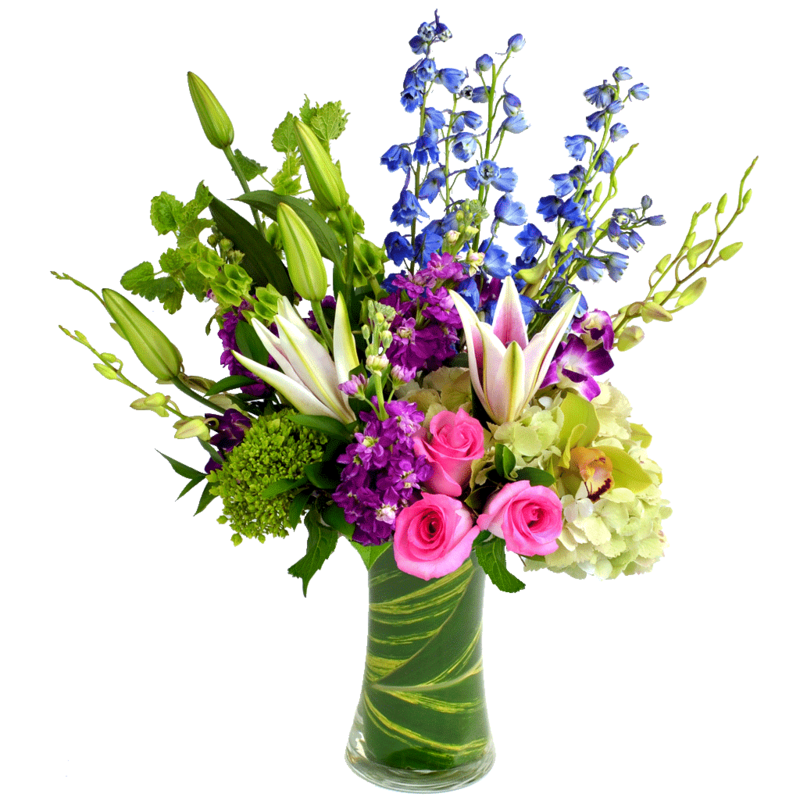 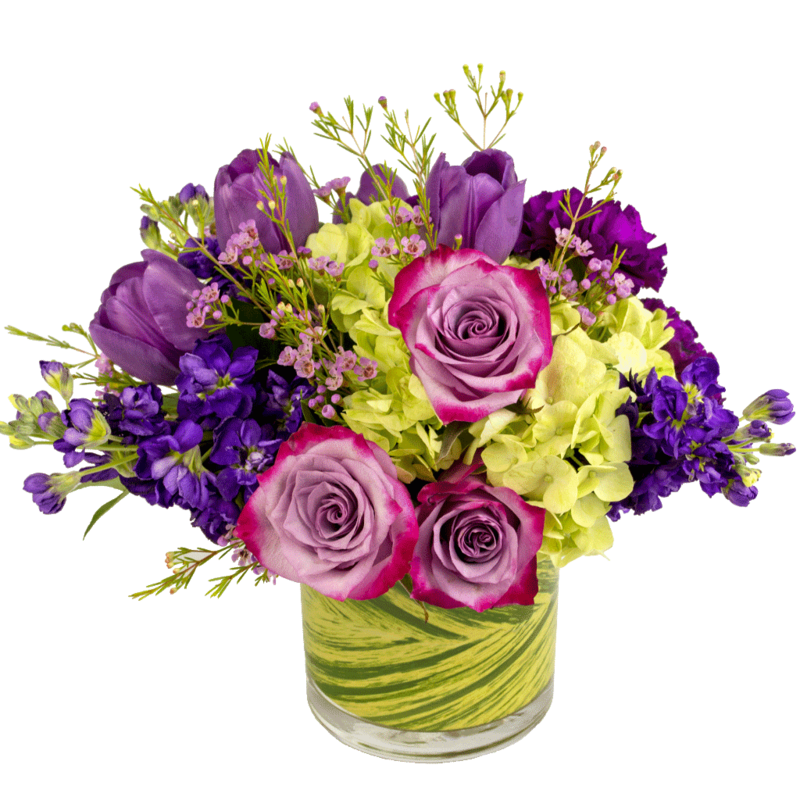 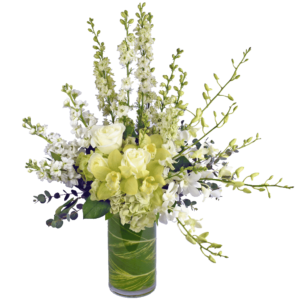 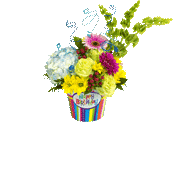 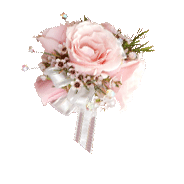 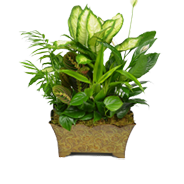 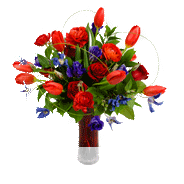 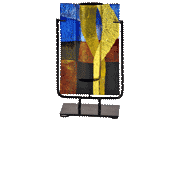 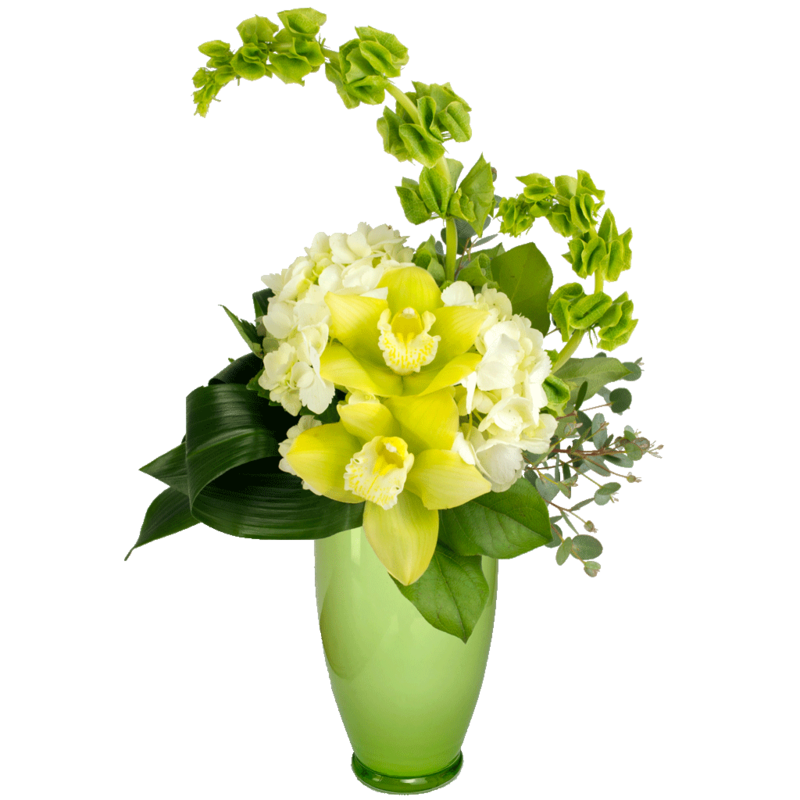 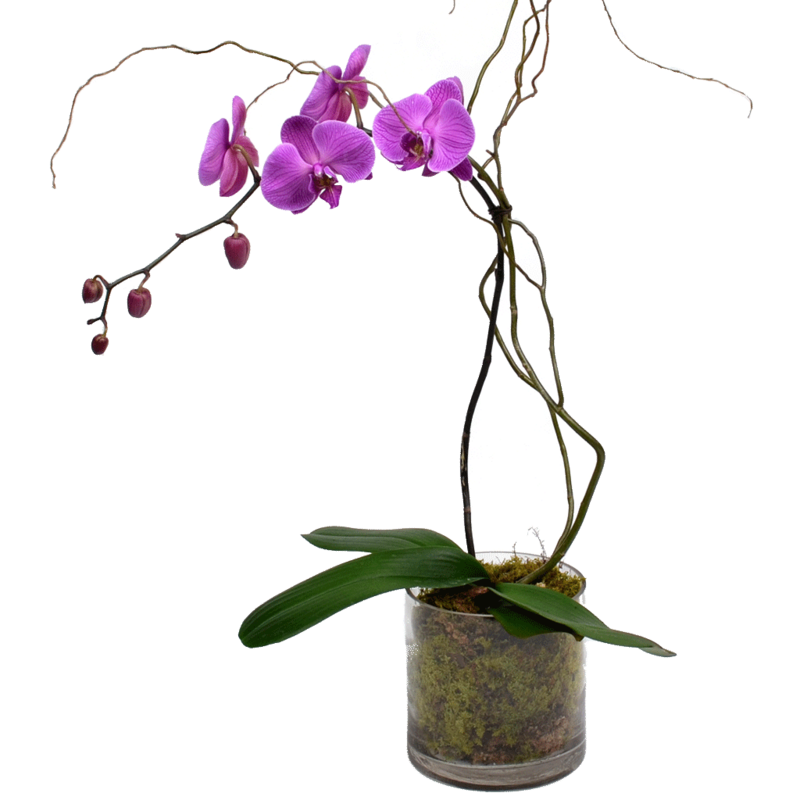 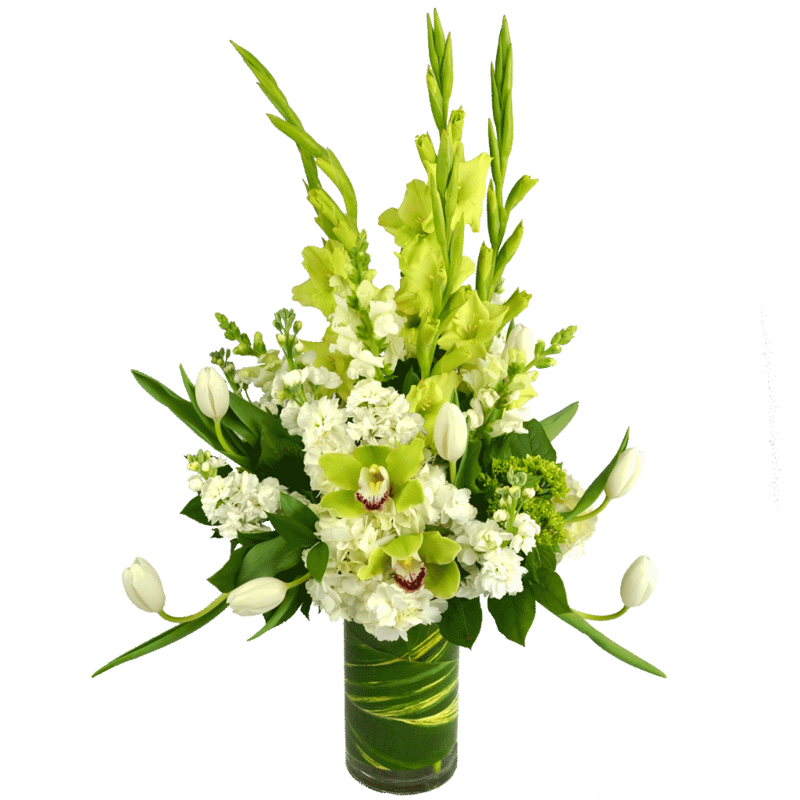 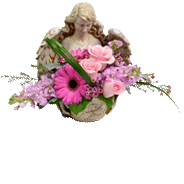 This romantic bouquet will show them that they hold the key to all of your dreams.